I personally feel that us Millennials are going to change the world, one avocado toast at a time. All kidding aside, I think our generation is making it a point to open up and discuss difficult conversations. One of these being mental illness and the struggle many of us face on a daily basis. Talking about mental health used to be taboo, but is becoming discussed more often, as we all know someone that is impacted by this or feel it ourselves. 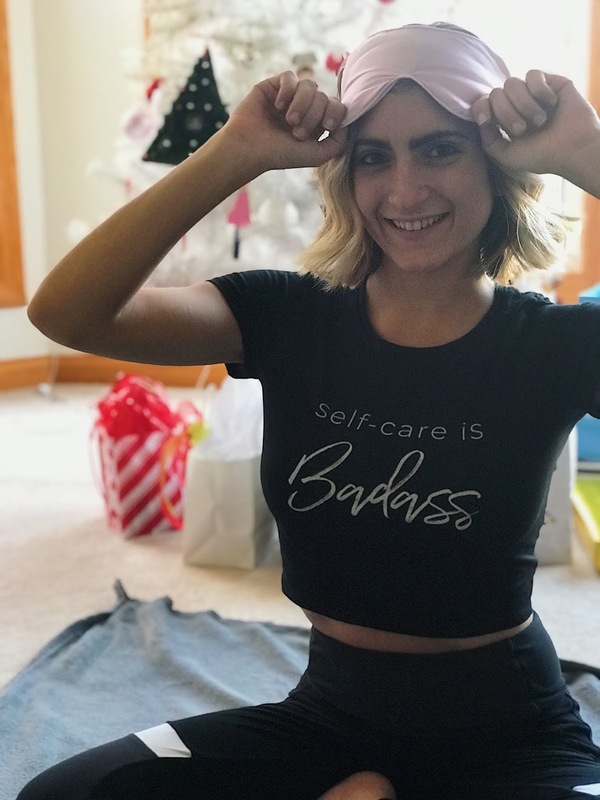 There is heightened awareness on the importance of self-care, but that looks a little different to each of us. Self-care for some is taking a bubble bath, while for others it may be going for a run. For me, self-care involves yoga, breath work, or sometimes a good nap. I started practicing yoga in college as an activity to do with my roommates (because it was a free class), but fell in love with it the more I practiced. I enjoyed that someone reminded me to breath for an hour. Inhale, exhale. It was exactly what I needed, especially since I am anxious majority of my life and don’t always take deep breaths throughout the day. When I feel on the verge of a panic attack, I try to using the breathing (Pranayama) techniques that I’ve learned in yoga (I highly recommend looking up and trying the following: Nadi Shodhana, Ujjayi, Belly Breathing, Kapalabhati, and 4-7-8 Breathing). Being the avid clothing shopper that I am, I love supporting brands that make an impact and have an important mission. 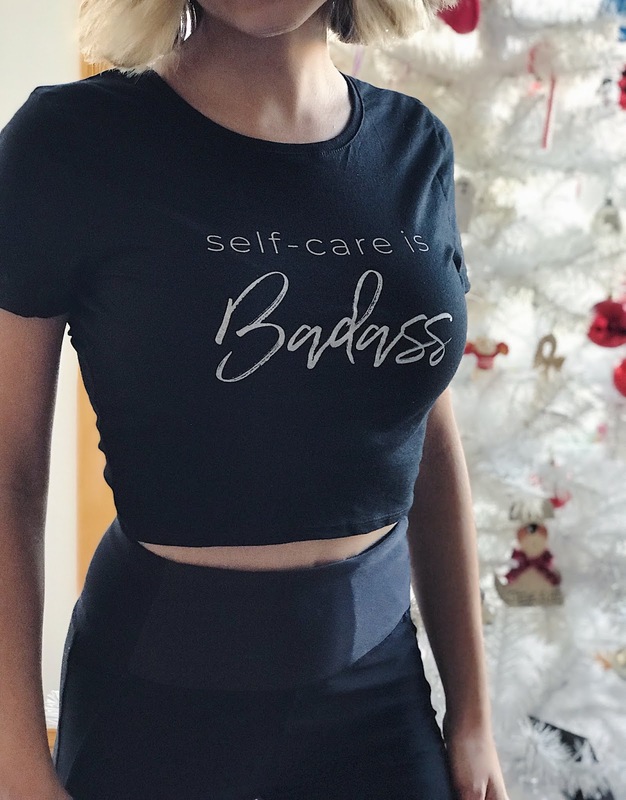 I recently came across the company, Own Your Stigma on Instagram. As soon as I followed them, I received a sweet message with a quote and reminding me that it’s okay if you aren’t doing okay. I just loved this because it’s the reminder we ALL need to hear. It’s okay to not be okay all of the time, but know that it will get better. I also think social media makes us feel that we need to always be doing something fun, exciting and instagrammable. Own Your Stigma is generously offering a coupon code for my followers use promo code GINA10%OFF to receive 10% off your next purchase! Let’s keep the conversation about mental health going and be the support system someone needs! The Crisis Text Line allows you to text from anywhere in the United States and Canada to talk with a trained Crisis Counselor. If you’re in the US, text HOME to 741741. In Canada, text HOME to 686868. I’m at it again with another post about…salt. Yes, another activity I was recently introduced to involves salt. Actually, Pink Himalayan Salt to be exact. Halotherapy, or salt therapy, is an alternative treatment that uses salt. Just the other year, I purchased salt lamps and became hooked! I read about the amazing benefits of these salt lamps- air purification, mood booster, sleep promoter, eases allergy symptoms, etc. 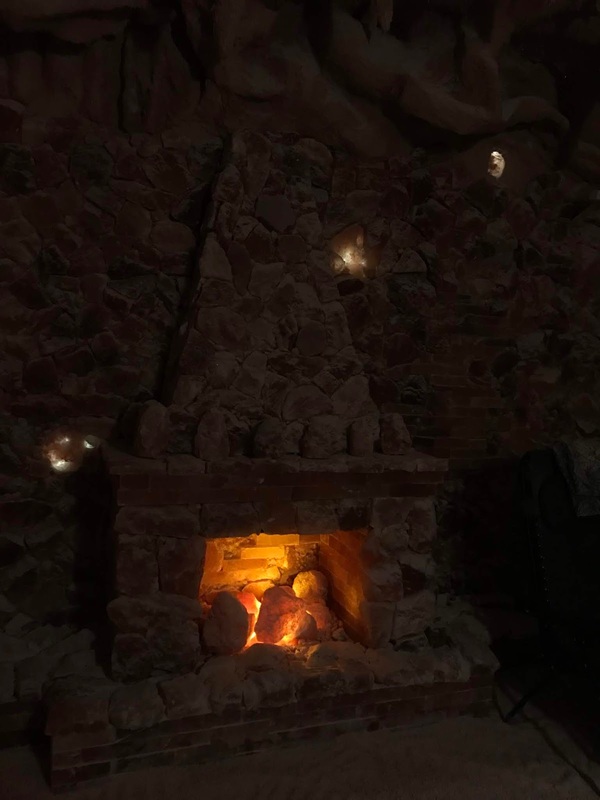 One of my friends told me about “salt caves”, where you can lay in a room filled with Pink Himalayan Salt and reap all of its amazing benefits! So.. I got myself on Groupon and snatched up a deal for a local salt cave nearby (Naperville Salt Cave). This specific salt cave location is very calming and feels more like a spa. I called ahead of time to schedule my 48 minute session with my friend and one of the staff members instructed us to wear loose fitting clothes to fully soak in the benefits of the salt. They also told us to wear white socks inside of the cave (the ground is all salt too). Our appointment was actually with a group of other people. We put our things away in lockers- which is great because NO PHONES allowed! We each reclined on our own zero gravity chair with a blanket as they they dimmed the lights and we were guided through a meditation and pretty much put to sleep! There was zen music playing the entire time to help us fully relax. Out of respect for the other attendees, I didn’t take many pictures- but I was able to grab my phone from the locker afterwards and capture the below. When our session was coming to an end, we were guided out of our meditation and slowly re-awakened to reality. I woke up feeling calm, relaxed and ready to conquer the day! I loved my experience so much that I am making it a priority to check out more salt caves regularly. If you are in need of a little R & R, I highly recommend giving halotherapy a try. 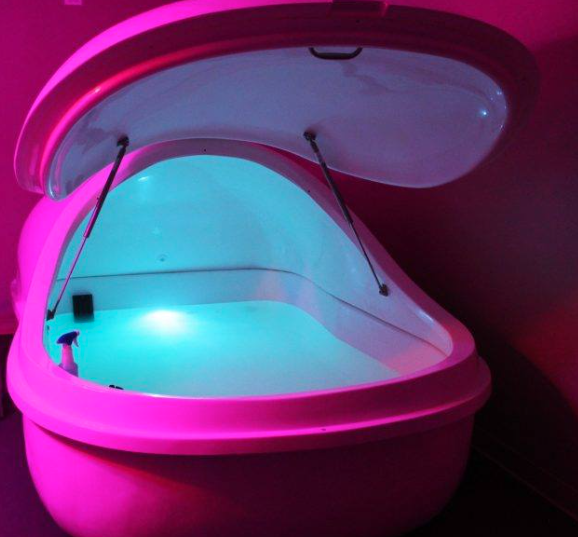 You may have heard of Sensory Deprivation, also known as Float Therapy. I previously shared photos on my Instagram Stories of the float tank and received a lot of questions about the experience and why it’s beneficial. I first heard about Float Therapy from Groupon and researched it more to see what it’s all about. 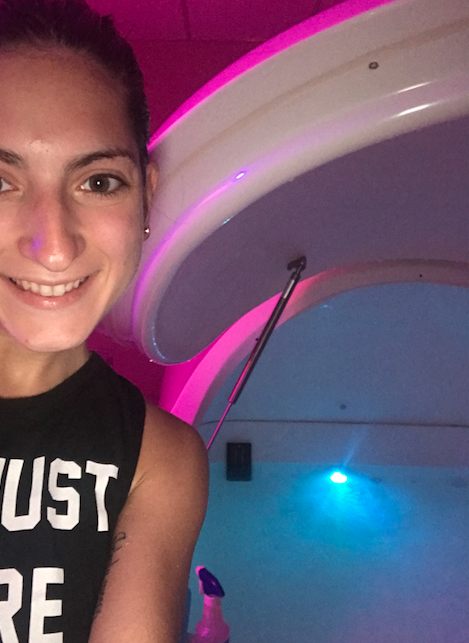 I knew that it was supposed to help you chill out and relieve sore muscles, but once I tried it for myself, I couldn’t wait to come back for more (so I purchased a float package)! Just to name a few- reduces stress, improves sleep, reduces blood pressure, reduces swelling, decreases fatigue and helps to alleviate sore muscles and chronic pain. How do you actually float? The tank has 1,000 pounds of epsom salt to keep you floatiabove water. Your entire body is floating, even your head! The craziest concept for me to grasp was the fact that I didn’t need to hold my head up. Don’t worry, they give you ear plugs so you don’t get water in your ears! Did you feel trapped in the tank? Not at all! The tank is spacious and has enough room for you to lift your arms up if you wanted. If you are claustrophobic, you can leave the tank open while you float. The water is set to skin temperature of 93.5° Fahrenheit. The float sessions at the place I go to are 60 minutes long. It usually takes me a few minutes to settle into the space and really quiet my mind, but then I do fall asleep! The first time I tried float therapy I wasn’t able to sleep the entire time because I was still grasping the whole concept. I highly recommend going more than once so you can settle in and actually sleep and be more meditative during your session. If you have any questions, feel free to comment on this post and I will answer. I highly recommend finding a float therapy place near you and giving it a try! 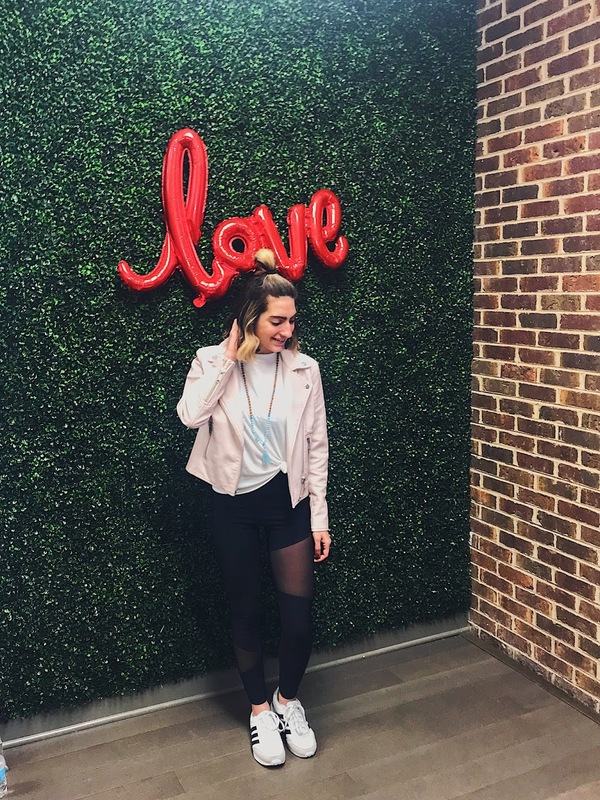 I interviewed fitness coach/online trainer, owner of Body By Bay and dear friend of mine, BayLeigh Bingham. We are talking all things health and fitness! BayLeigh thank you for taking the time to answer some of my questions. Gina: What made you want to get into fitness coaching? BayLeigh: I have always enjoyed nutrition and fitness since I can remember. The best part about my job is helping people and seeing them become so happy by their transformations with my programs. I truly feel so grateful everyday for this path. 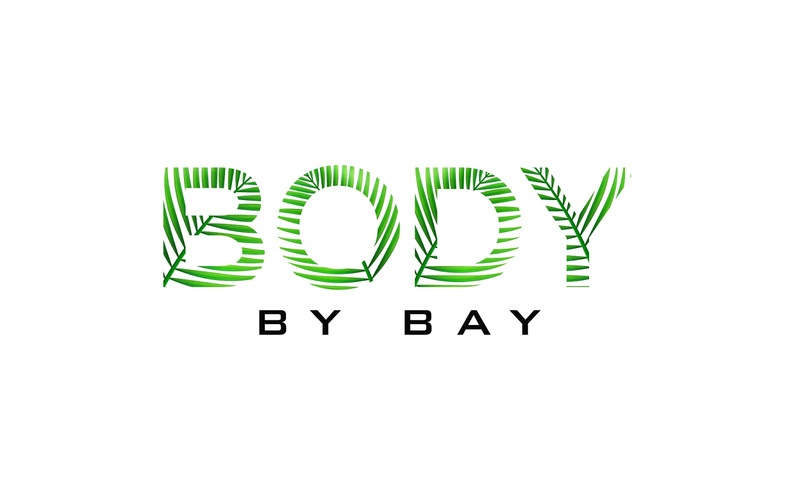 Gina: What types of services does Body By Bay offer? BayLeigh: Body By Bay offers a lot of different services. I offer meal planning, meal tracking (via an app) as well as custom meal plans catered to each individual client. All of this is either online or in person. I offer both. All workouts can be done AT HOME. That is the BEST part! No gym membership needed. Gina: Since you are based out of LA but have clients located all over, what do your coaching sessions look like? Gina: How often do you communicate with your clients? BayLeigh: I am in contact with my clients everyday and Skyping with them at least once a week. I think that is so important to keep close contact so I can always get an idea of how they are feeling or if something isn’t working for them, we can change it immediately for the upcoming weeks. Gina: Meal prepping has become increasingly popular. I myself get a little overwhelmed with having to prepare meals for the week. Can you share any tips? BayLeigh: So my clients who have me meal prep for them say its a DREAM. Lol to have somebody literally plan out your whole week of meals and all you have to do is get your groceries (or I can order the groceries for you if you are not wanting to do that part either) is quite a treat! For my clients who I don’t meal prep for I always say if grocery shopping is stressful, then they are doing it wrong. During the week my clients all try to eat a very balanced diet and to do that it should mostly be pretty simple. A good meat, a vegetable and a carb. There are lots of ways to switch this up to keep it fun during the week. 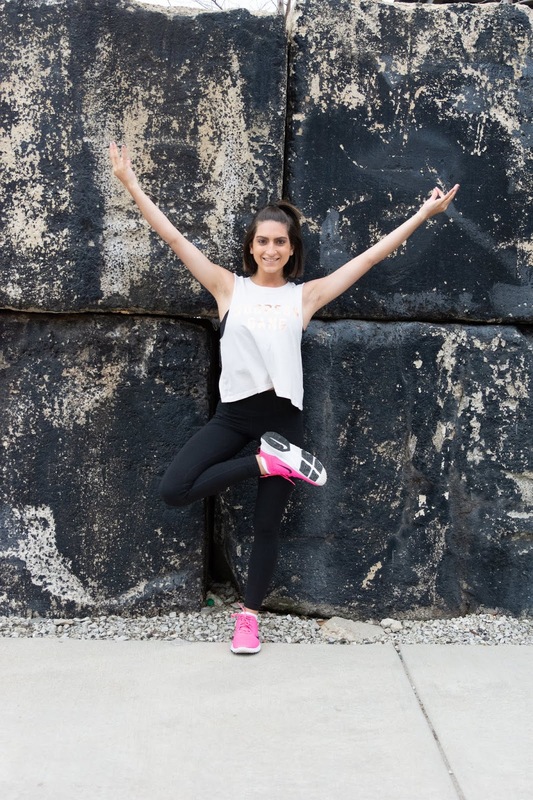 Gina: What does your typical fitness routine look like? BayLeigh: I workout 3-5 times a week and on the other days I am going hiking or taking my dog to the dog park, getting a good run in, something active. But never putting too much stress on it or that is when people get burnt out quickly. Thank you again for taking the time to share, Bay! Wow, I love that she mentioned not to put too much stress on working out. How often do we all beat ourselves up about trying to get a workout in and somehow life gets in the way? I know I do! I find it easier to get a workout in when I don’t put too much pressure and stress on myself. I have to say, BayLeigh has motivated me to get up off my computer and get a workout in from the comfort of my home!